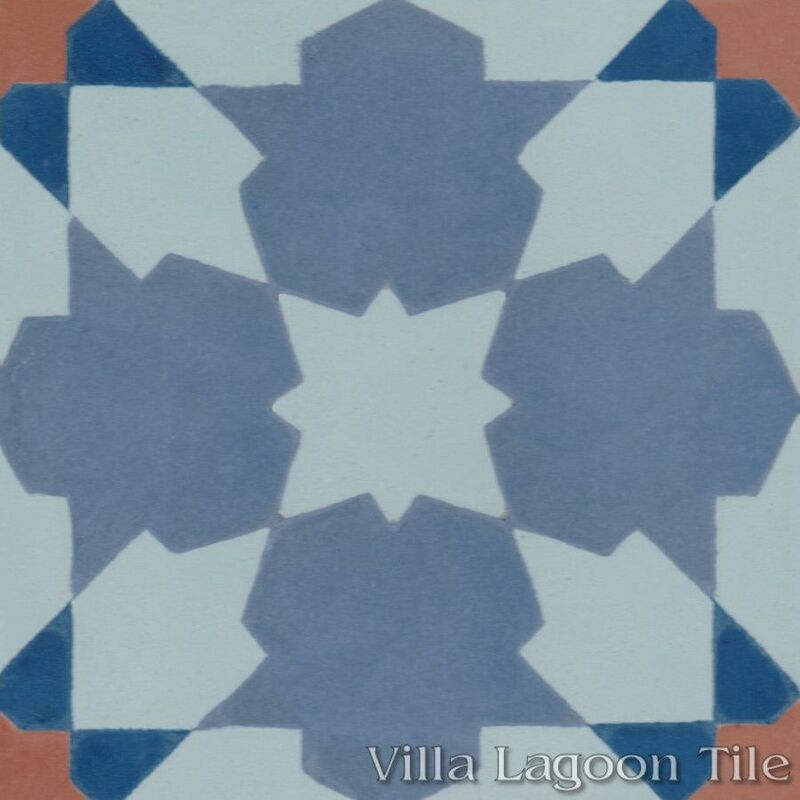 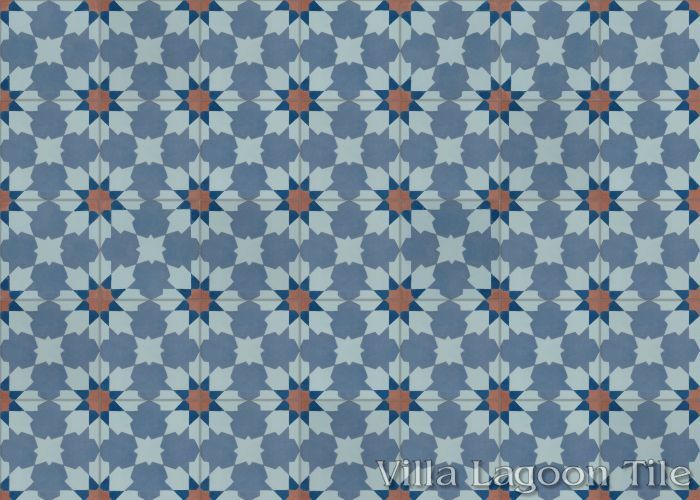 This is a 5-color 4" cement tile, using Atmosphere, Washed Denim, Deep Inlet, and Terracotta from the South Beach Palette. 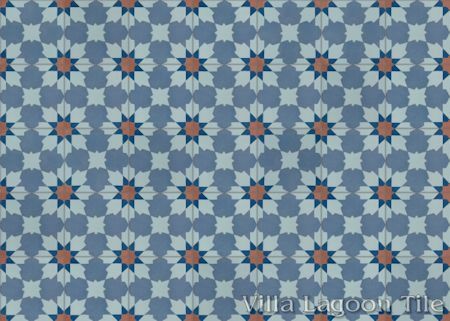 Our "Casablanca Grande" pattern takes the popular Moroccan starburst pattern we call "Casablanca", and quarters it for a larger scale. 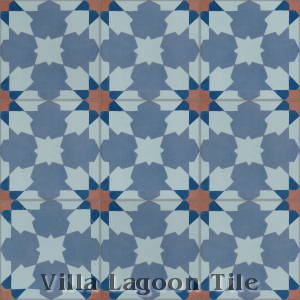 This smaller 4" production is then the same scale as our 8" version of the full "Casablanca" pattern.